Story of a prince to pauper rodeo horse with an unstoppable will to survive. 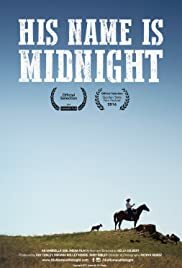 The true story of a horse, a prince of Big Sky Country, who was bred for strength and rodeo glory but discarded through a chain of events to auction and, ultimately, human cruelty. His name and his lineage were forgotten. But his royal pedigree and his upbringing in the Badlands of Montana instilled in him the strength and tenacity that allowed him to survive his journey through neglect and starvation, until he was found and his name and heritage rediscovered.